Known for establishing the extreme metal underground in Poland, Behemoth are bringing the crushing riffs of their new album, I Loved You at Your Darkest, to the UK this winter. Extending their Ecclesia Diabolica America 2018 e.v. 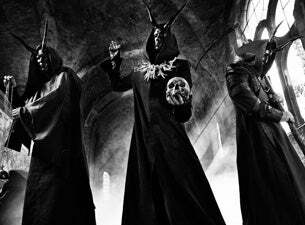 tour, which full of dark and menacing production, into 2019, don’t miss hearing the Polish black metallers’ thunderous new music.